While I consider myself an excellent cook, I am quite possibly the worst baker in the history of the world. But this holiday season, I made it a personal goal to change that. It didn’t go well. 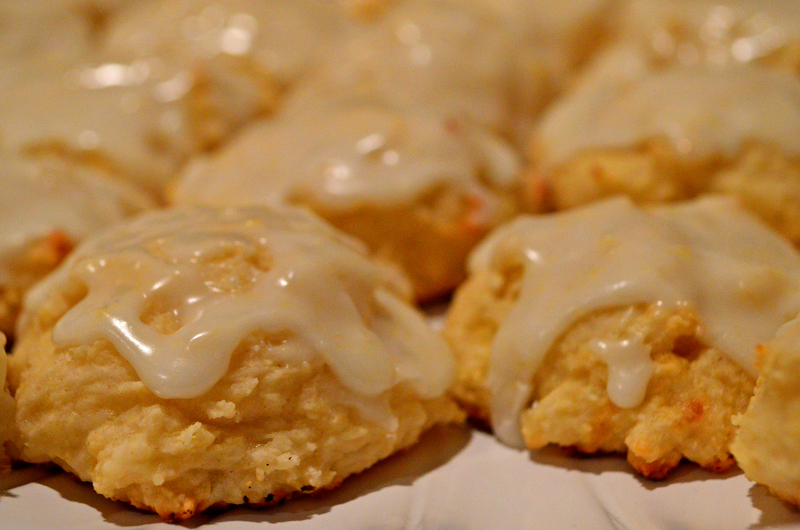 I aced only one thing: these lemon ricotta cookies. The recipe for these cookies is super simple, and they taste fantastic. They were a huge hit at the holiday parties I went to, as well. In a large bowl (and I mean large!) combine butter, sugar, and eggs. Wisk (or if you’re lucky, use your electric mixer) until mixed completely. Add flour, baking powder and salt to mixture and stir thoroughly. Zest one lemon, then add lemon juice and zest and continue to stir. Using parchment paper or tin foil, line two baking sheets. I suggest only 6 cookies per sheet, as they tend to spread. Standard cookie sized work well for these. Bake for 15 minutes total, but I recommend turning after the first 8 minutes to assure all cookies are baked equal. They should be golden at the edges when you remove them from the oven. These cookies will need to sit for at least 20 minutes before they are iced. While the cookies bake, combine powdered sugar, lemon juice and a second lemon’s worth of zest in a small bowl. Stir until smooth. I recommend using a spoon to ice each cookie, concentrate on the center, as the glaze tends to spread to the outer edges on its own. The glaze will be hardened after two hours. If you are piling cookies (in a tin or whatnot), make sure to separate layers with tin foil or wax paper. Pro Tip: You can make these yummy cookies in a low-fat fashion. Use fat-free ricotta (trust me, I tried it, it tastes fantastic). I also switched the sugar out for Truvia and Splenda, both of which worked flawlessly. No one noticed, either. For some other easy cookie ideas, click here.